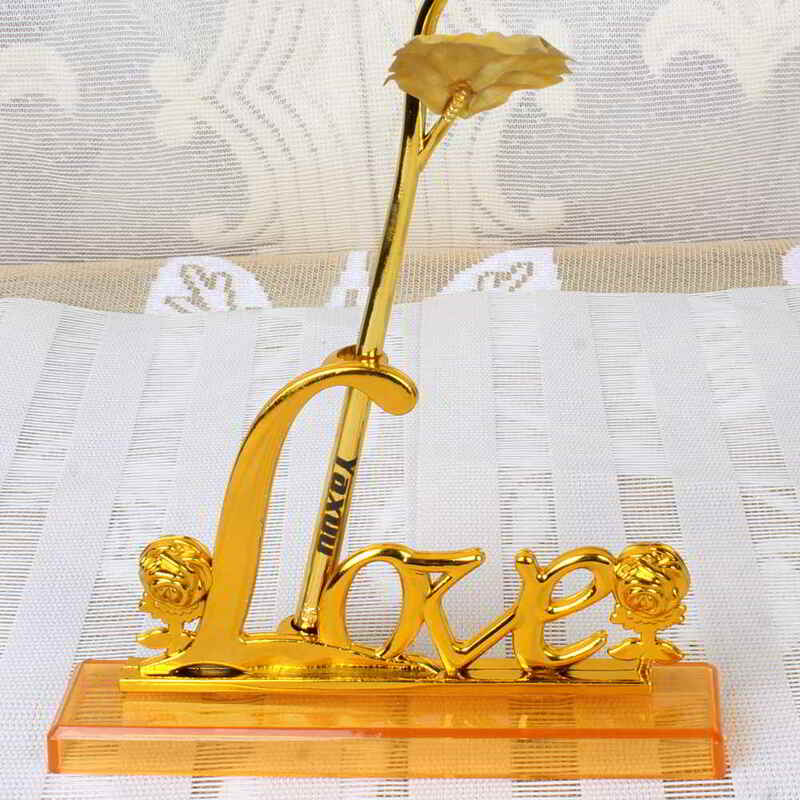 Product Consists: Gold Plated Rose With Custom Name On Stem in a Love Stand (9 inch). 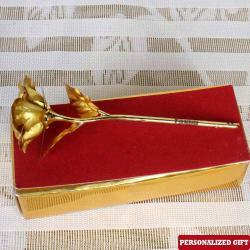 Golden Roses are always thrilling gift for all to receive. 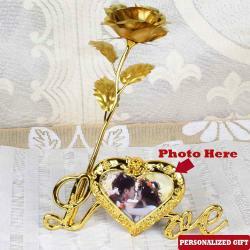 Customize gold roses to your dear ones on their special day and win their heart. These two timeless symbols of richness and beauty have been perfectly combined in the golden rose. Something they have a soft spot in their heart for. 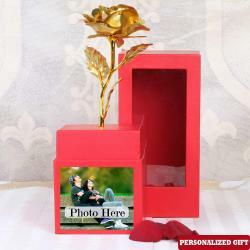 Somehow, roses are able to appeal to any and able to evoke positive reactions and responses, especially when they are from a thoughtful. 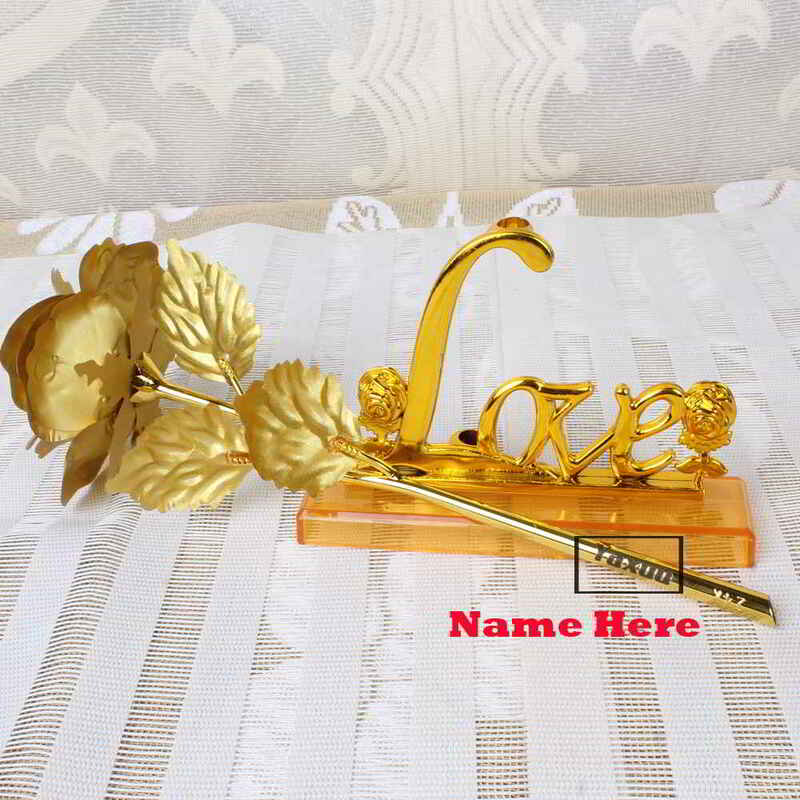 The lovely Golden Rose is the exceptional gift with the customized name stick. 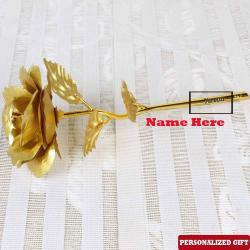 Gold plated golden rose is a symbol of love & beauty especially it is an exceptional Valentine gift for any lovable person. 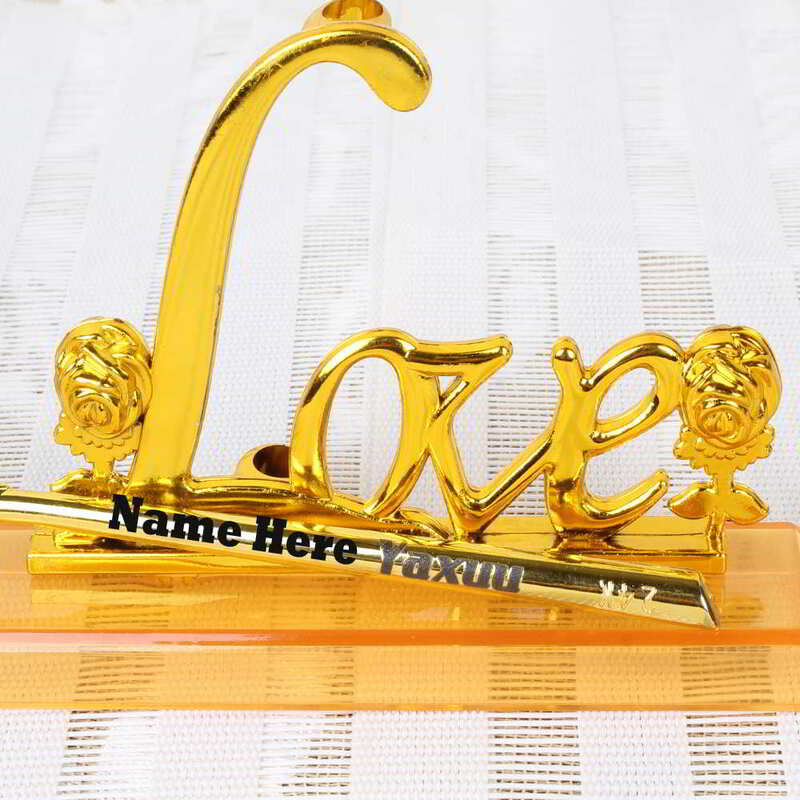 It is an attractive gold plated finishing gift piece. Love gift must be unique and everlasting just like your love. 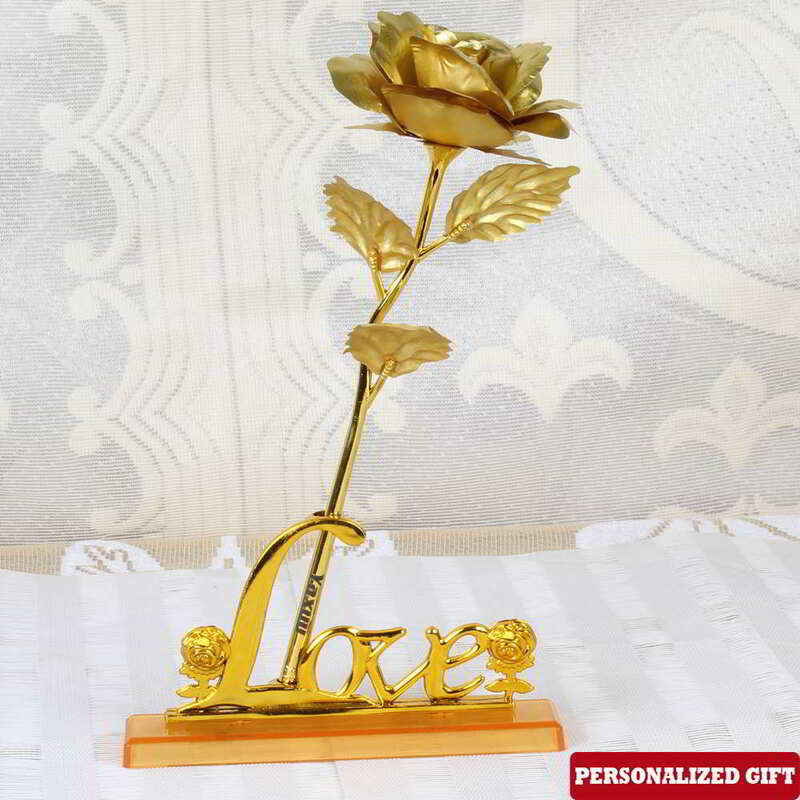 Product Consists: Gold Plated Rose With Custom Name On Stem in a Love Stand (9 inch).